Cooking when the power goes out doesn’t have to be a crisis. You can turn any outage into a party as long as you have carefully planned and practiced. Don’t purchase your “device of choice” and then let it sit in the original box in the garage. A barbecue or a fondue party is the perfect kind of practicing your family will love and beg for. What is the best cooking device to use when the power goes out? That depends on a variety of factors. We have put together a list of some of our favorite emergency cooking devices along with links to direct you to some of the best sources to purchase them. Carefully consider which devices fit best into your lifestyle and situation. Remember it is important to enjoy today while preparing for the future! We don’t know what form a crisis will take so be sure you are prepared to be able to cook outdoors, indoors and on the road in the event are required to evacuate. Think about fuel conservation and ways you might be able to stretch your stored fuels. 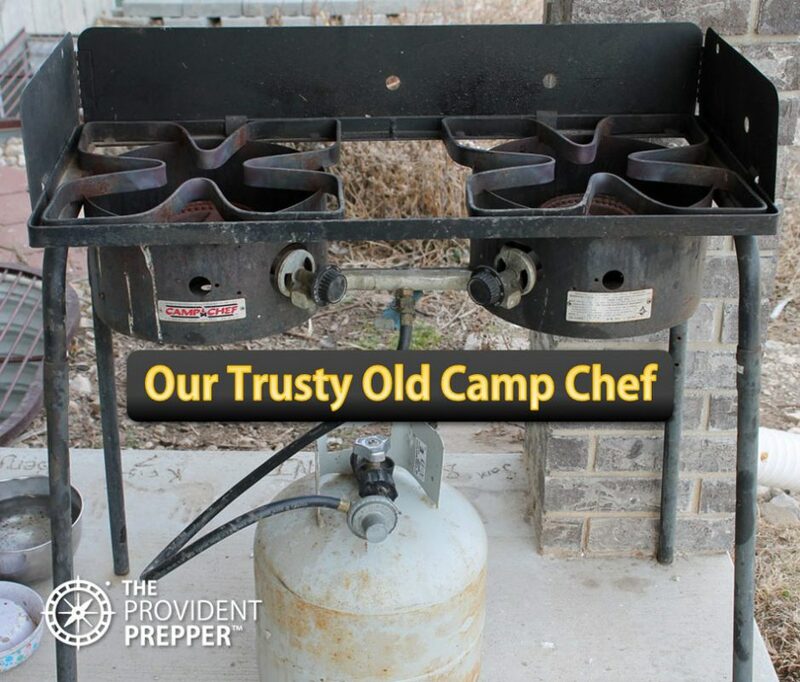 One of my favorite outdoor cooking devices is our Camp Chef propane stove. This stove spends most of the year set up outside my back kitchen door on a covered patio. In the summer, much of our daily cooking takes place on that trusty old stove. The canning mess and heat is kept out of my home as we process all of the bottles outside on that stove. Camp Chef Pro 2 Burner Camp Stove – This is a newer version of the dependable old Camp Chef that we have beaten up for years. It takes up less space than the 3 Burner model … but if room isn’t an issue you may want to upgrade to the 3 Burner for $20 more. Camp Chef Tahoe Deluxe 3 Burner Grill – This Camp Chef has made hundreds of meals for family and friends on our camping adventures. It packs up to transport nicely. It is easy enough to use that we let the teenagers take over cooking duties while the adults relax. Camp Chef Big Gas 3 Burner Grill – This propane cook stove/grill is definitely on my wish list. It comes with a removable BBQ Grill Box that sits on top of two of the burners increasing the versatility of the device. You can barbecue your main dish while simmering a pot of beans on the side, or remove the BBQ Grill Box and have three 30,000 BTU burners ready to serve you. Kylene worked at a power plant with a bunch of guys and was frequently amazed at the delicious meals these macho men were able to pull off using the barbecue grill or smoker. One day a plant operator pulled a batch of nachos out of a smoker that were seriously out-of-the-world delicious! That drives home the point that it is possible to create tasty meals as long as you are comfortable with the device you are cooking on. A backyard barbecue or smoker may be just what you need to enjoy life a little more everyday, as well as turn a power outage into an adventure. 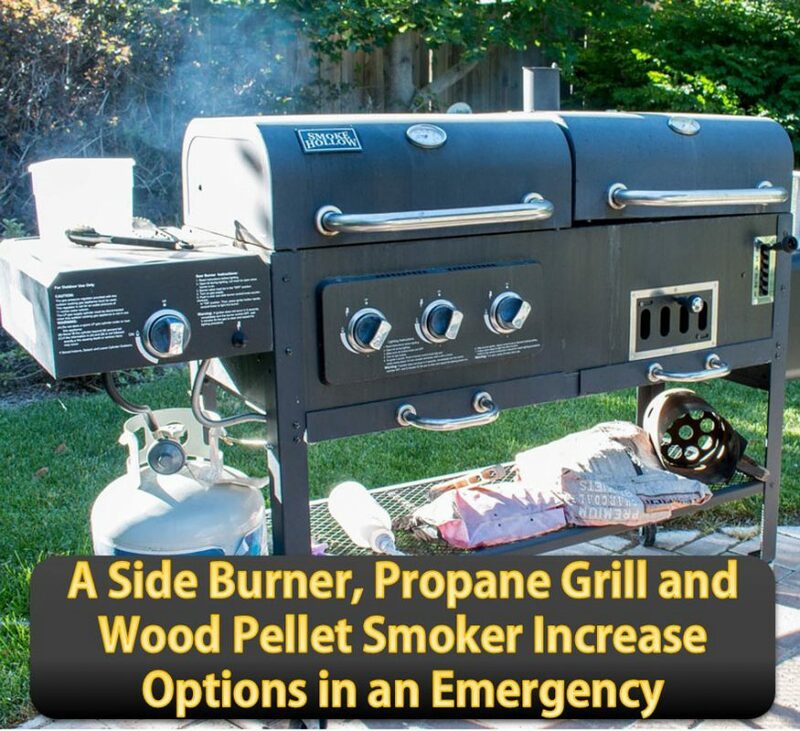 When selecting a propane barbecue designed to work for emergency preparedness also, be sure to purchase one that has a side burner similar to Monument Grills Porcelain 4 Burner Propane Gas Grill with LED Lights. A side burner makes that barbecue much more versatile, allowing you to warm up a can of beans or boil water for pasta. The Dual Fuel Combination Charcoal/Gas Grill by BLOSSOMZ not only has a side burner, but is designed to burn charcoal on one side of the grill. When you run out of propane you can use charcoal, if you run out of charcoal you can still burn sticks or small pieces of wood. When shopping for a backyard grill select one that gives you multiple fuel options. I like the Smoke Hollow in the photo. Be sure that you safely store plenty of fuel! Keep those propane bottles full and/or store several extra bags of wood pellets or charcoal. Dutch ovens have been an effective cooking tool for hundreds of years. They come in all sizes and shapes. Dutch ovens will last for many years when cared for appropriately and can easily withstand being placed over hot coals, an open fire or on a wood burning stove without any damage. 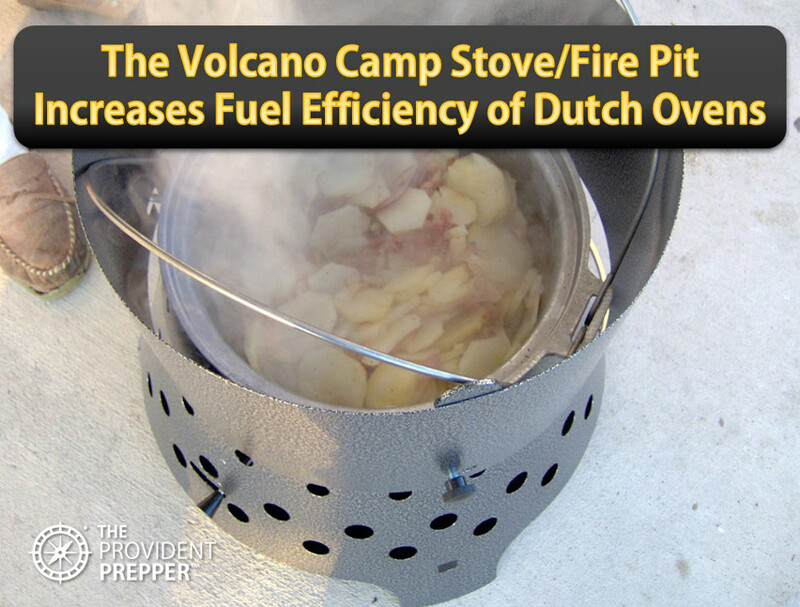 A Volcano Camp Stove/Fire Pit will significantly increase fuel efficiency when cooking in a Dutch oven. It will also allow for the use of charcoal, propane or wood. It is portable and takes up very little space. The one disadvantage to Dutch ovens is that they are very heavy. So don’t plan on evacuating with a Dutch oven strapped to your back. We like to use the flat bottom Dutch oven with handles directly on the burners on my Camp Chef. They make especially tasty fried scones. I use the beautiful Enameled Cast Iron Dutch Ovens on the top of my wood burning cook stove. They are a little bit easier to clean up, distribute heat evenly, and they just look amazing on top of my stove. A Dutch oven with legs is required for cooking on an open fire, over charcoal or for stacking several ovens on top of each other to increase fuel efficiency. It is important to select the right Dutch oven for the right application. Cast iron pans are also available in frying pans, griddles, and my favorite cast iron Aebleskiver pan. The kids love these Danish pancake balls! The sun is an amazing source of free, abundant energy. We like to take advantage of this fuel by cooking with our Sun Oven between 10 am and 4 pm whenever the weather permits. Investigate any solar cooker well before purchase, some are poor quality and do not perform well. 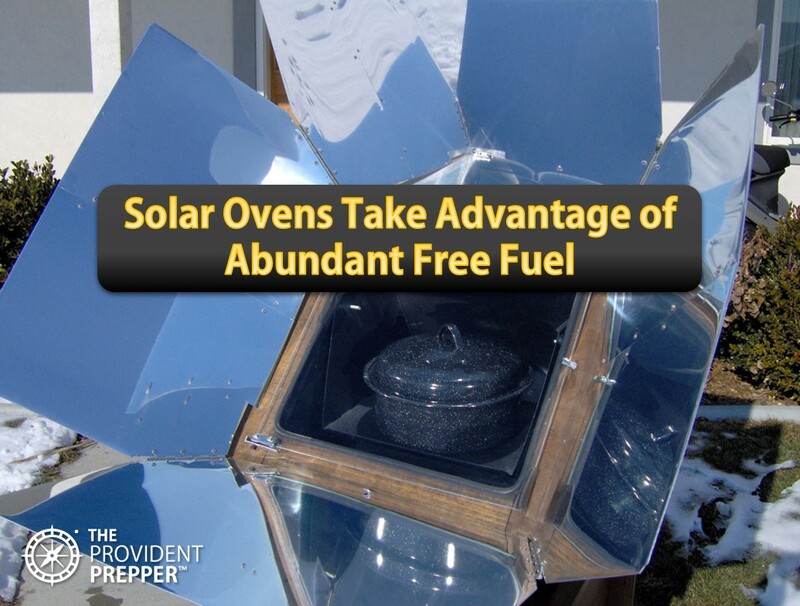 Our favorite solar cooker is the All American Sun Oven by Sun Ovens International. It is the most efficient solar cooker that we have tried. The Sun Oven amazes me every time I put a loaf of bread in it and come out 50 minutes later to a beautiful golden loaf. I cooked an 18 pound turkey in it and became convinced that a solar oven is a must-have preparedness tool for everyone. A word of caution: I closed the oven once without allowing it to dry out. The moisture bubbled the paint and it began to peel off on the inside. The manufacturer told us to respray it with high temperature barbecue black spray paint. It may be a good idea to keep some of this on hand. The GoSun Sport is a portable solar cooker that we have seen demonstrated at several of the conference/expos where we have taught. It looks like a nice portable solar cooker, but only holds enough food for two people so it doesn’t meet our needs. Indoor emergency cooking and heating can be a bit challenging due to the danger of carbon monoxide poisoning. You are very limited as to which fuels you can safely burn indoors. Pure forms of alcohol such as denatured alcohol, or Everclear, are good options to safely burn indoors. The ORIGO Heat Pal 5100 is a marine device that is ideal for use indoors when the power is out, or when you just want to have a little fun. The Heat Pal works as both a heater and a cooker taking care of the two most critical needs during a power outage. The heat output is adjustable. The maximum output is 52,000 BTU (1500 Watts). One quart of denatured alcohol can provide up to 5 hours of burn time. Dometic ORIGO 1500 is a single burner non-pressurized alcohol stove. It also comes in a double burner model. Both are good quality alcohol stoves. We really like the diversity of our Heat Pal 5100. Alcohol is a safe and easy fuel to store. Safe Heat is a great choice for safe indoor cooking. 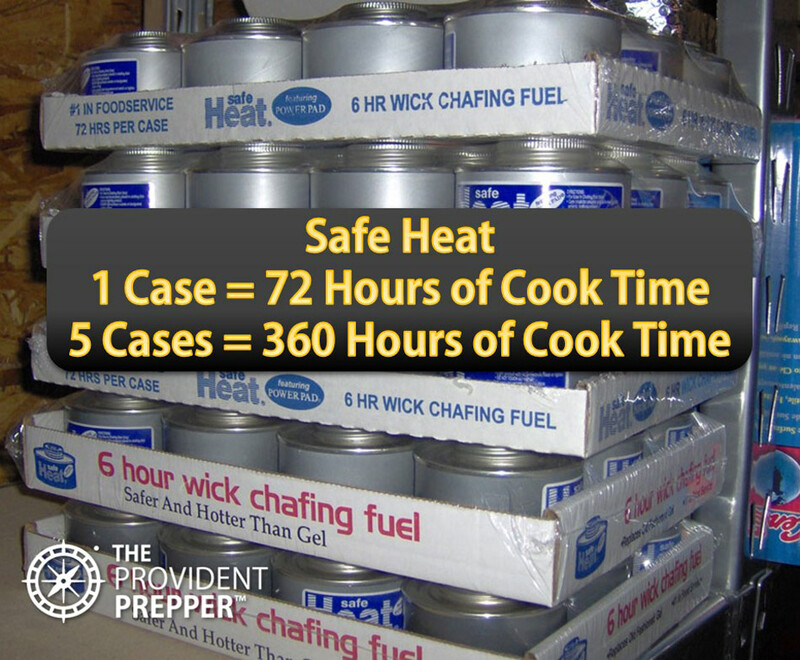 This variety of canned heat stores safely and each can will burn for 6 hours. Check out our post to learn more about canned heat here. Not all canned heat is created equally. Some will only burn for 1 hour and may not be safe to use indoors. Safe Heat is our recommendation for indoor cooking. It may produce a small amount of carbon monoxide that can easily be managed with a little ventilation. 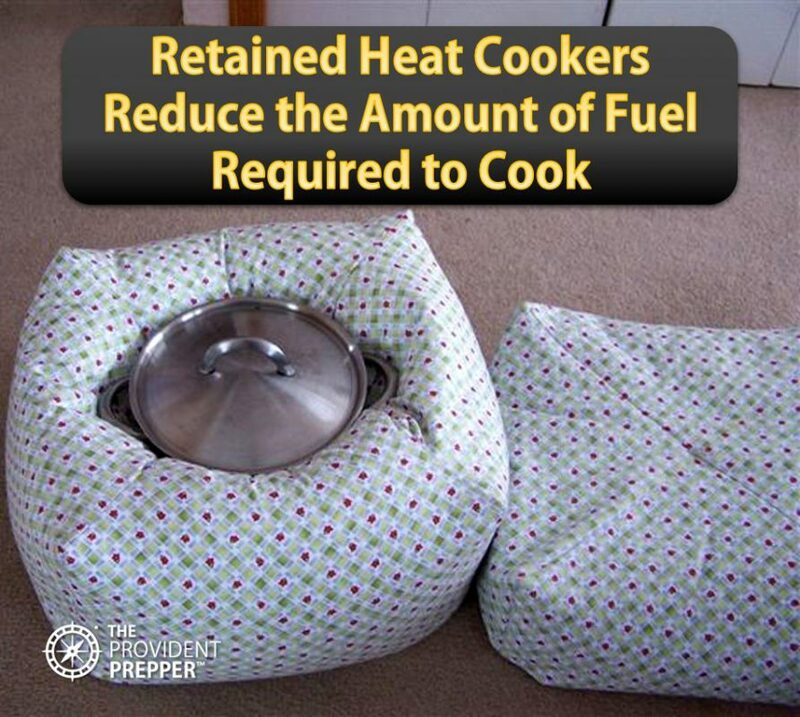 For cooking, the fuel will need to be placed inside of a sturdy device. A folding camp stove is ideal for burning Safe Heat. It is also possible to use it to cook in some fondue pots or chafing dishes. We have successfully experimented using multiple cans in order to increase the heat output. The manufacturer recommends using no more than 2 cans of Safe Heat at a time. The cases of Safe Heat in the photo show just how easy it is to safely and inexpensively store enough fuel cook for a family in an emergency. An alcohol burner functions similarly to canned heat, except it is reusable and practically indestructible. 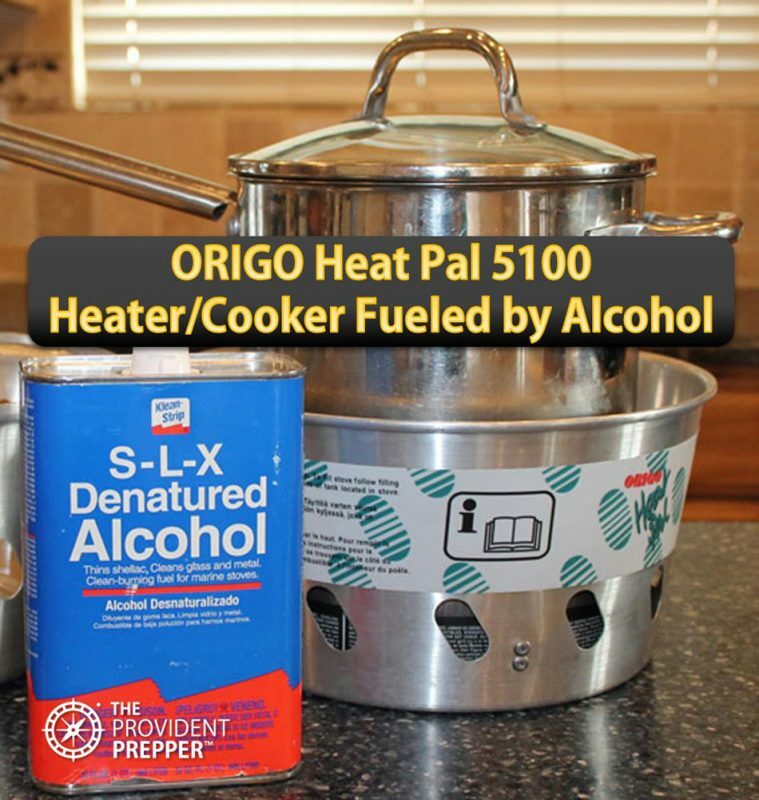 Learn more about alcohol stoves and the best types of alcohol to use for fuel here. One of the benefits to an alcohol burner is that it is lightweight and rugged. A quality burner will last through many years of constant abuse and are fairly inexpensive. Alcohol has an indefinite shelf life and is one of the safest fuels to store. Learn more about safely storing fuel here. We picked up a brass alcohol burner that works really well at a military surplus store. You can purchase a standard alcohol burner on Amazon here. REDCAMP makes a nice Mini Portable Alcohol Burner Stove that comes with both the burner and the stove. Alcohol burners are available in titanium from EVERNEW. 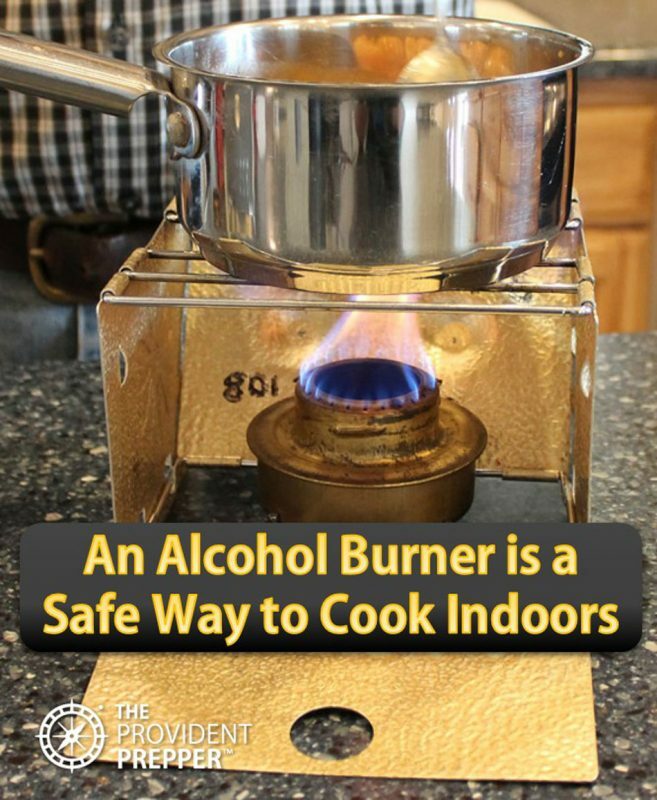 Remember that the alcohol burner will need to be used in some type of stove that allows a bit of distance between the burner and the bottom of the pan. Fondue pots come with a type of alcohol burner to slowly heat the cheese or chocolate. In a power out scenario, the small alcohol burner may be replaced with Safe Heat or a sturdy alcohol burner for a hotter flame to simmer soups or cook eggs. Whichever style of alcohol burner you choose, make sure that you have at least one as part of your emergency plan. 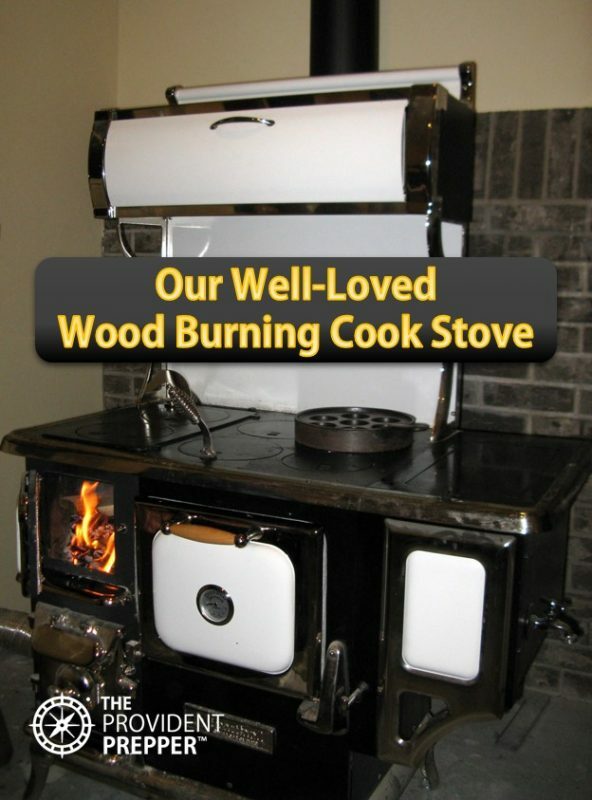 We saved for many years to be able to finally purchase my dream wood-burning cook stove. These stoves may be unrealistic for many people to use for emergency preparedness. Do the best with the resources you have. Do not let your dream toy keep you from taking important interim steps to ensure you can cook for your family when the power goes out. Quite frankly, my sweet stove may not be the best choice for emergency cooking in every instance. It is a lot of work to start a fire in the stove just to boil some water, when a match and Safe Heat can do the job with less time and less fuel. A variety of cooking options allows you to use your resources more efficiently. We live in a cold climate and winters without power can become life-threatening in a hurry. We use our stove regularly to warm the house and cook. On days when a fire is providing warmth, I put a pot of stew or beans in a cast Dutch iron oven and let it simmer all day long. There is something incredibly homey about a fire and the smell of simmering deliciousness. Fuel conservation is a critical component of emergency preparedness. The more efficiently you use the fuel that you have, the less you have to store. We recommend the following devices to help stretch your fuel supplies. Commercial retained heat cookers are readily available and save time and energy every day. The pot is brought up to boiling and then transferred into an insulated container to continue cooking. Buy quality! The less expensive versions are a waste of money. You may want to purchase a few different sizes, as they work best when filled to capacity. Tiger Thermal Slow Cookers are available in 4.75 qts/4.5 L, 6.34 qts/6.0 L, and 8.45 qts/8.0 L.
Thermos Cook and Carry is the first thermal cooker that I experimented with. It is a great device, but I found that wrapping it in a towel or baby blanket significantly increased the heat retention. Saratoga Jacks makes a 5.5 L Thermal Cooker that my sister-in-law likes. She originally purchased it with emergency preparedness in mind, but she likes the way that she can transport either hot or cold foods in it and maintain temperature for several hours. One last item we highly recommend to stretch your fuel is a pressure cooker. I personally prefer stainless steel. These fantastic devices use as little as one-tenth of the fuel than traditional cooking methods and improve the taste of the food. I frequently bring our pressure cooker up to temperature (when the weighted pressure regulator just starts rocking) and then transfer it to an insulated retained heat cooker. See our post on thermal cookers. One final thought on emergency cooking devices. There may have times when you have electricity to use, but it may be limited. Perhaps you have solar panels or a generator that may provide power for short periods of time. Most electric cooking devices draw large amounts of electricity and may not be able to function well when power is limited. 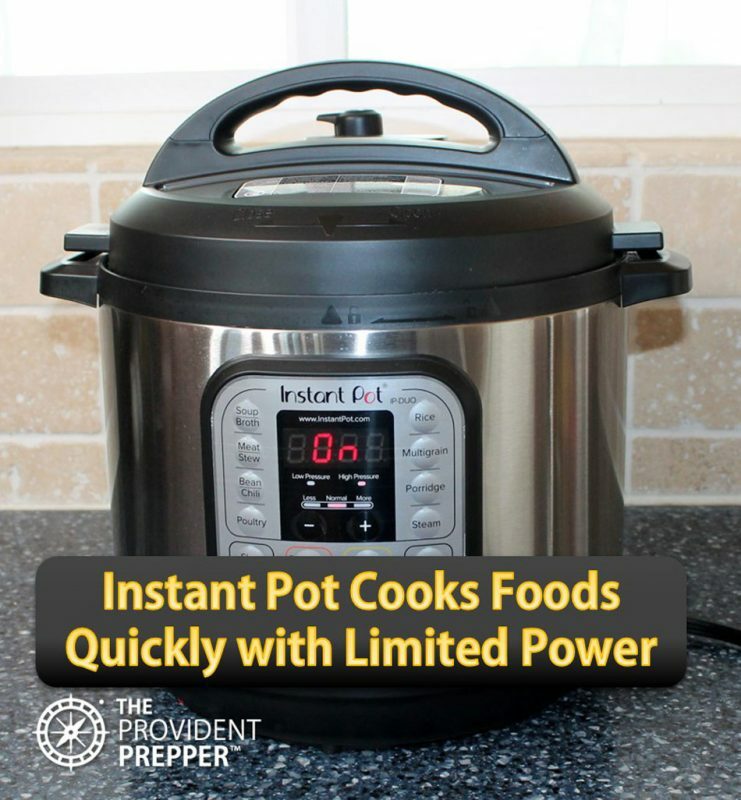 However, the Instant Pot (or similar electric pressure cooker), portable convection oven or a portable induction cooktop (requires special cookware) may allow you to cook with the power produced by a small generator or battery bank. It is impossible to predict the exact circumstances or limitations you will have when disaster strikes. Appliances which draw only a small amount of power are useful everyday as well as in an emergency. We hope these recommendations are helpful to you. We have spent hundreds of hours researching, experimenting and actually living the provident life. Hopefully, you will benefit from our mistakes as well as our successes. The ability to cook food and boil water is an important part of your emergency preparedness plan.